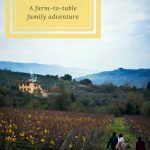 by Jennifer Fontaine – A Portugal family holiday is an increasingly attractive option when looking for an authentic and affordable European holiday. 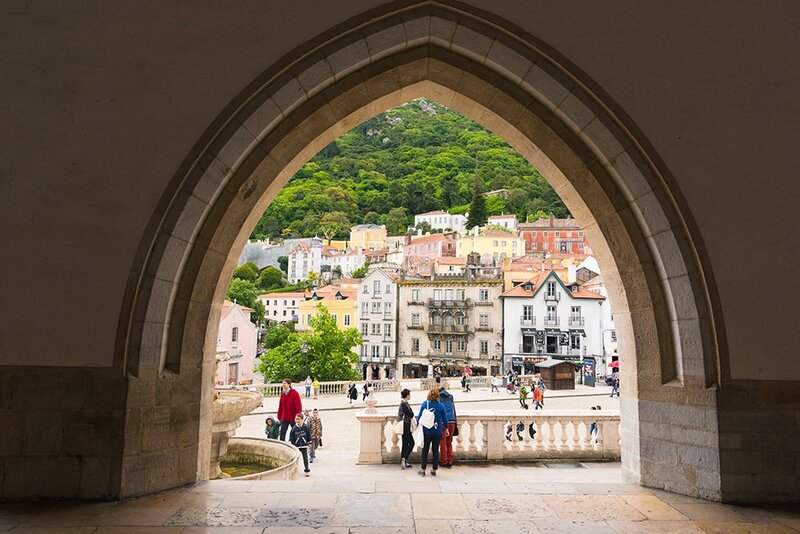 From its beautiful, historic cities and mouth-watering food, to the uniquely welcoming Portuguese culture and hundreds of miles of stunning coastline, Portugal is the sort of luxury family vacation you’ve been dreaming of and you probably didn’t even know it. While you could easily spend 10 days in and around Lisbon or Porto, Portugal’s two largest cities, it is a surprisingly quick flight to the southern part of the country. If you’re feeling a bit more adventurous, a Portugal family road trip down the coast is one of the best ways to experience the world-class beaches, surfing, cultural sites, and food of this spirited nation. So how do you choose? There’s so much to see and so little time. To help you get started, I’ve listed my top four cities to visit in Portugal with kids, plus my best tips on family friendly restaurants, the best family hotels, and an epic Portugal outdoor family adventure bucket list. 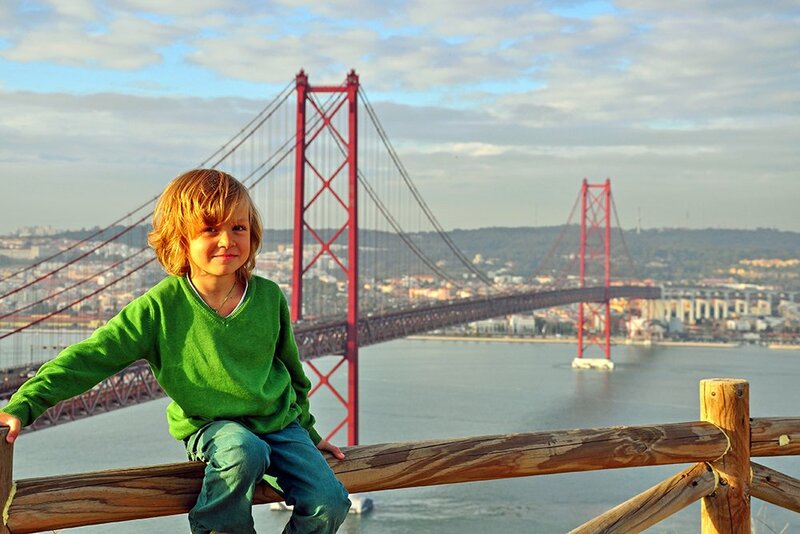 If I’m being honest, visiting Lisbon with kids wasn’t initially high up on our family adventure travel priority list, but now having experienced it first hand, I’m wondering how this capital flies so low on the awesomeness radar, compared to other destinations. It seems to have everything. From history, architecture, charm, and culture, to an abundance of family friendly activities and attractions, we squeezed in plenty of experiences during our three days. In fact, four or five days would have been the perfect amount of time to see and do everything at leisure in Lisbon with kids in tow. Based at the mouth of the Tagus River, Lisbon is stacked on vibrant, steep hills. One building after another either boasts elaborately-patterned Portuguese tiles, azulejos, or sports an old world pastille-colored patina. This makes for vibrant views from many of the elevated points throughout the city, especially at sunset. Winding through its steep, cobbled streets is the perfect way to soak up the flavor of the neighborhoods. Or sit back and relax at any one of the local kiosks that have come to be an emblem of the city’s relaxed style of eating and drinking. Every local has their favorite, and a ‘kiosk-hop’ is a great way to eat and drink your way around the city sights. 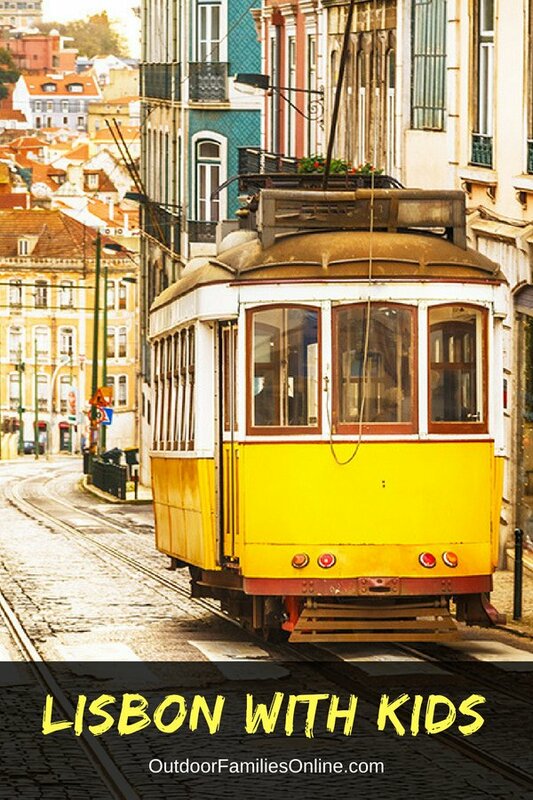 If you want to cover more ground in Lisbon with kids, hop on a yellow old-school tram and let it usher you to points of interest. Pro Tip: The hilly layout of the city makes sightseeing a little more strenuous and the cobbled streets are not so good for pushing strollers with small wheels, so I would recommend a baby carrier if you’ve got little ones. 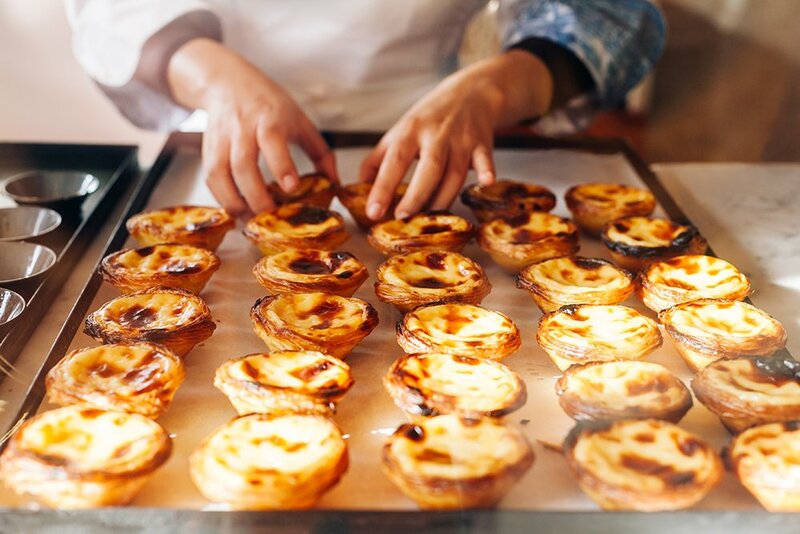 Lisbon is a city with a sweet tooth, and its most iconic pastry is the palm-size pastel de nata, or egg tart, a creamy custard tart available in pastelarias across the city. The recipe dates back to the 16th century, when the confections, like many other Portuguese sweets, were made by nuns in convents. Now, locals eat pastéis de nata at breakfast, in the mid-morning, after lunch, or in the evening — any time they’re craving a snack. Based in an historic hall, full of character, are 24 family friendly restaurants. It’s a foodie’s heaven. 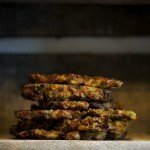 From hamburgers, to steaks and caviar, there is so much to be enjoyed. Long wooden benches fill the center of the hall where locals eat together. It goes without saying, it’s a really busy area at peak meal times. So, if you intend to visit with little ones, try to go early. If you can’t find a place to sit inside, there is a playground and grass area just outside the door where a takeaway could work perfectly. 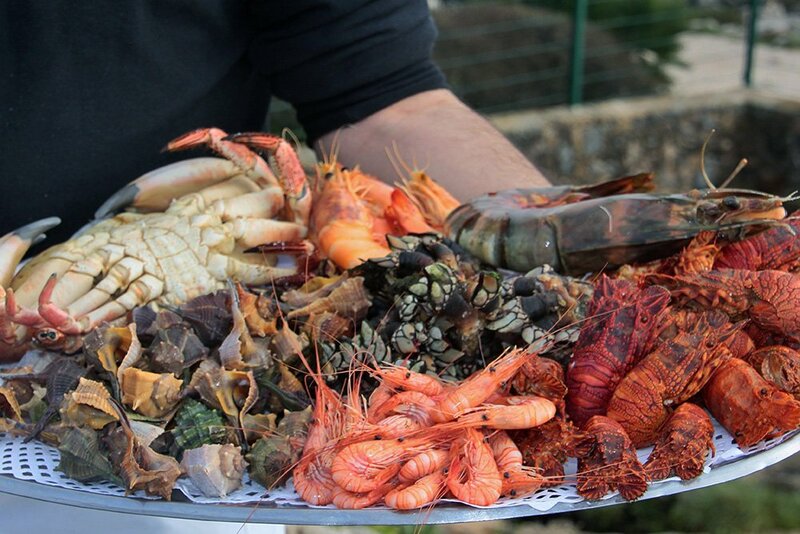 Opened in 1956, Ramiro has legendary status among Lisbon’s seafood lovers. Here you can feast on rich plates of giant tiger prawns, percebes (goose barnacles), lobster, crab, and clams – or a juicy steak sandwich for non-pescatarians. The atmosphere is bustling and informal, with chattering crowds enjoying the local vibes. With more than 20 varieties of seafood (most of them swimming in massive tanks that line the restaurant’s walls), it’s a haven for anyone with a serious craving for freshly steamed lobster. The number 28 Lisbon tram connects Martim Moniz with Campo Ourique, and passes through the popular tourist districts of Graca, Alfama, Baixa, and Estrela. 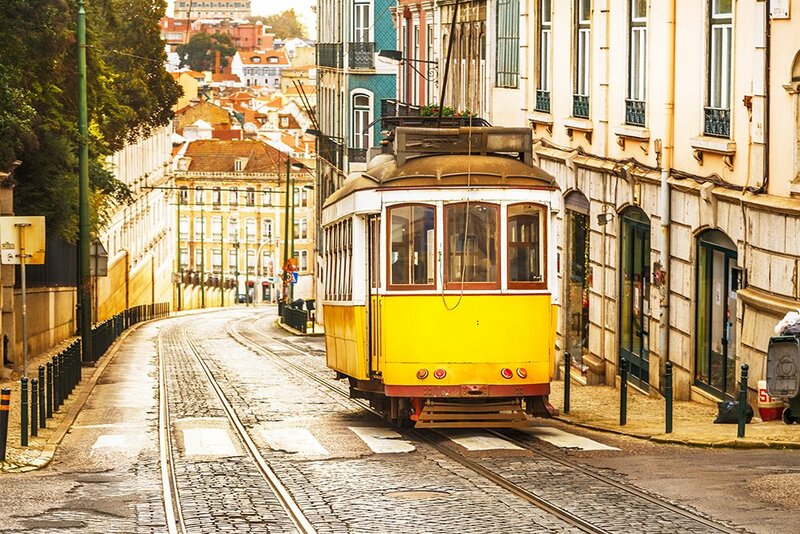 For visitors, this is the classic Lisbon tram journey, riding in the quaint yellow tram as it screeches and rattles through the narrow streets of the city. A ride along the entire 28 tram route provides one of the best tours of the capital and is often a highlight for anyone on holiday in Lisbon with kids. We fortuitously jumped on-board one of the iconic yellow trams, not realizing we would see some of the best sites in Lisbon along the way. It goes around in what feels like a big loop of the city and at only €2.90 per person, it certainly is a bargain. Pro Tip: If you don’t get a seat, its hard to see everything, so try to go mid-morning to avoid the crowds and get a front row seat. A stop on the Route 28 Tram, Alfama is Lisbon’s most authentic district and one of the most rewarding for walkers and photographers thanks to its medieval alleys and outstanding views. Alfama has influenced poets and novelists, and although Bairro Alto is the city’s traditional Fado quarter, it is Alfama that has always been the inspiration for Fado songs. The district has an intangible quality that needs to be experienced to be truly appreciated, and the best way to get to know it is to get a little lost. Wander around admiring the postcard-perfect views, visit the churches, and walk up to the castle for the most breathtaking panorama of the city and the greatest sunsets. From the castle, head to Miradouro de Santa Luzia, another incredible view point over the rooftops of Lisbon. Adjacent to it is Largo das Portas do Sol, a small charming town square with another great view point. 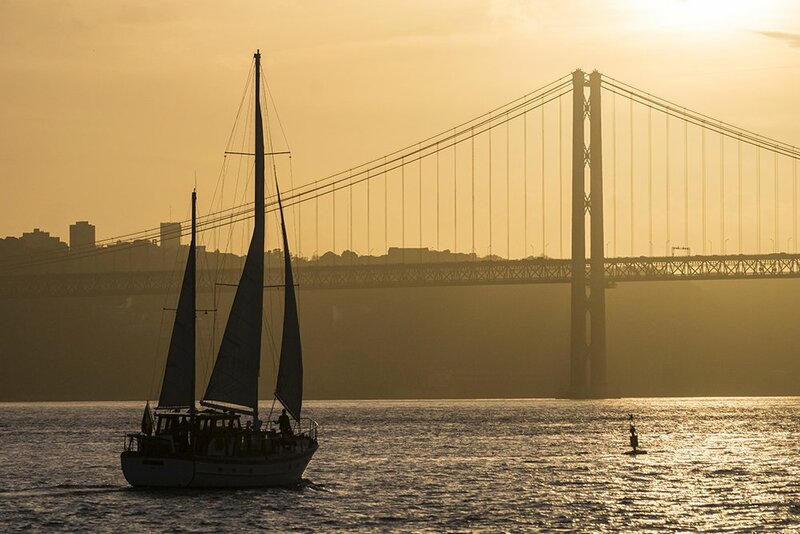 Booking a sailing cruise on the Tagus river will allow you an opportunity to see more of Lisbon without having to walk, and definitely a fun experience for the whole family. There are many options for boat tours on Tagus river, so you can always find an experience that best fits your family’s wishes and Lisbon trip itinerary. Prices generally start at just 20-25 euros per person, depending on the trip and the duration of the tour. If you are traveling with a big family, consider a private sailing tour. For about the same price, you can have the whole boat to yourselves. Now that’s what I call exploring Lisbon with kids in style. If you’re a musical family, head to the Museum of Fado and explore this traditional Portuguese folk music that includes instruments like guitars and mandolins. Discover its fascinating performers, sublime guitarists, and inspired composers as their electric history unfolds to reveal of tales of this old European city. Oceanário de Lisboa, the second-largest aquarium in the world, allows kids to come within arm’s length of such critters as penguins, sharks, or playful sea otters. The Oceanário lies within the Parque das Nações, which is a sprawling playground for children, with rides, an interactive science museum, and fairgrounds. Chiado District – Chiado has a fresh crop of boutique hotels and posh restaurants and bars. Interspersed between these stores, you’ll find the world’s oldest book shop and a couple of iconic historical cafés, like Café A Brasileira. Chiado is a hilly and trendy part of town that serves as an in-between neighborhood, sandwiched to the west of Baixa and to the east of Bairro Alto, Lisbon’s hub of nightlife. If you don’t mind climbing a few hills, Chiado is one of the best parts of Lisbon to stay with kids because you can walk to many of the places you’ll want to visit, can easily hop on public transportation, and have easy access to Baixia, Bairro Alto, and more. Chiado is really “downtown” Lisbon, with lots of shopping, restaurants, and easy access to the rest of the city, but the gem of Lisbon family accommodations is also situated here. Martinhal Lisbon Chiado Family Suites offers spacious serviced apartments in the center of Lisbon, specializing in luxury family stays. 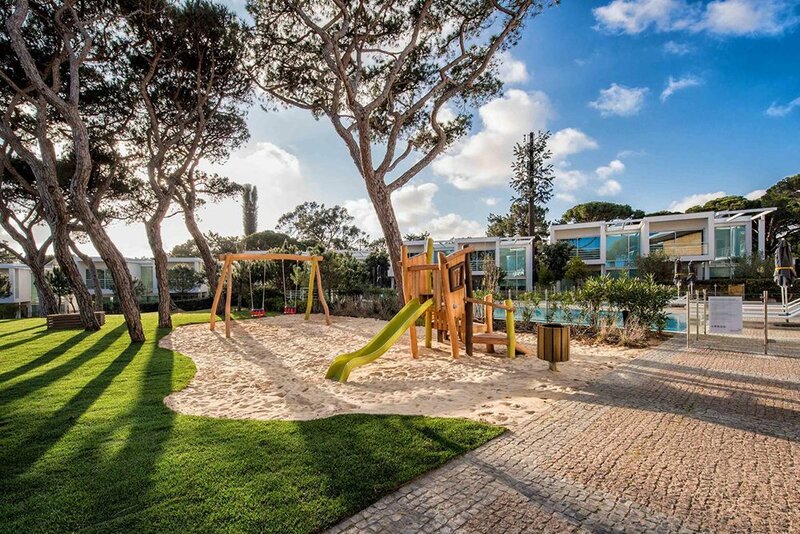 Martinhal is, hands down, the best place to stay in Lisbon with kids. From free baby concierge, to pajama parties, and freshly made food for kids of all ages. When you tell people you are going to Lisbon, usually the first thing they say is, “You have to go to Sintra!”. Sintra is a UNESCO World Heritage Site, known for the colorful Pena Palace, Castle of the Moors, Palacio Quinta da Regaleira, and Monserrate Palace and Park, as well as the actual palace of Sintra, Vila Palace, which sits right in the city center. Sintra is about 30 minutes from Lisbon which makes it an easy day trip. However, rumor is, once you’ve been to Sinta, you always wish you had more time in Sintra, so I suggest staying one night. Sintra is known for its Romantic 19th century historical monuments, as it was the summer retreat for Portuguese royalty years ago. 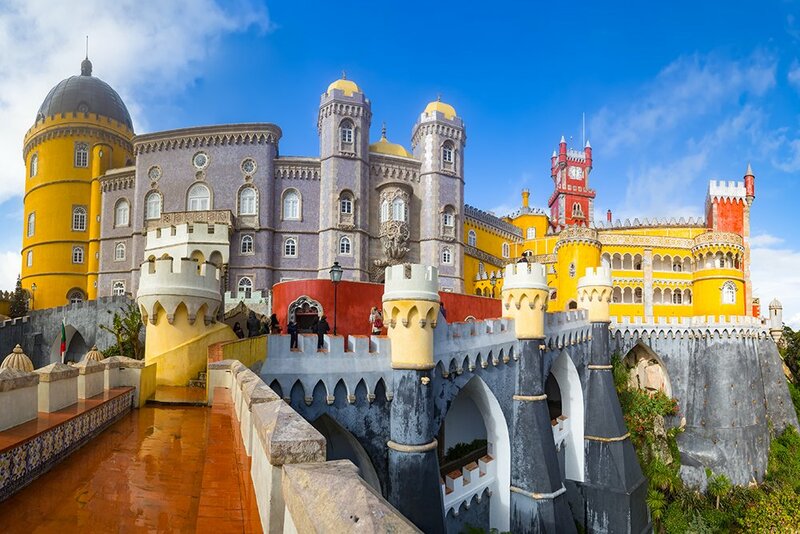 It houses palaces, hiking trails, gardens, a convent, and a Moorish castle, and is known for access to the most western most point of Europe, overlooking the Atlantic Ocean. Getting to Sintra from major cities in Portugal, like Lisbon is easy. By train, from Rossio Train Station in Central Baixa (Lisbon), the average travel time is approximately 50 minutes and a one-way ticket costs 2.15 euros. Pro Tip: Visiting Sintra with kids is easy and a lot of fun. But there is a lot of walking, so be prepared. Casa Piriquita is about 160 years old and has served the best ‘queijadas’ (traditional Portuguese pastries made of cheese) in Sintra all these years. In the 1940s, the founder’s daughter created ‘travesseiros’ (or pillows – puff pastries filled with almond cream), which became another traditional favorite. The full recipe for this popular sweet is still a family secret. You can’t leave Portugal without trying both of these pastries and Casa Piriquita is one of the best places to get them, along with many other delicious treats. Saudade takes its name from the famously untranslatable Portuguese term which is loosely paraphrased as “missing” or “longing”. Excellent for lunches, the building itself is a place of historical interest, having been founded as a specialist bakery for the 19th-century King Ferdinand II, a queijada enthusiast. Saudade takes pride in its place in the community, doubling up as a space for local art, literature, and music. A visit here is a no-brainer for anyone who wants an immersive cultural experience. Back in Sintra city lies Apeadeiro, another local haunt which remains largely unspoiled by tourists, although a seating capacity of around 100 means that it’s hardly a quiet corner. The menu and its accompanying English picture guide consists largely of genuine regional cuisine. Service here is warm and friendly enough to set any diner at ease, and generous portions ensures good value for your money. In traditional Portuguese fashion, guests can expect excellent port and pastries to round off the evening. Also referred to as the Palácio da Vila (the Town Palace), this medieval palace was a favorite with the Portuguese nobility and was in continuous use from the 15th century through to the 19th century, making it the most used royal residence in Portugal. Highlights include the magpie room, the decorative throne room, and the swan room. Pro Tip: Don’t miss the views from gardens and terraces to the rear of the castle. The grounds are filled with walking paths, old ruins, and a few towers for the kids to climb up. Make your way into the cave and the underground walkways, a series of tunnels that lead to the cave of the Orient, an inactive well and a waterfall. This is one of the coolest areas of the palace grounds to explore. Constructed by the Moors who ruled over the region between the 8th to 11th century, Castelo dos Mouros (Moors Castle) is an ancient fortress built to defend the city from Christian crusaders. It was restored in the 19th century in the Romanticism-style of architecture, and remains nestled into the surrounding ancient forests and hidden pathways leading to views of stunning landscapes. These wonderful views from the battlements are the main draw, second to the quieter crowds. 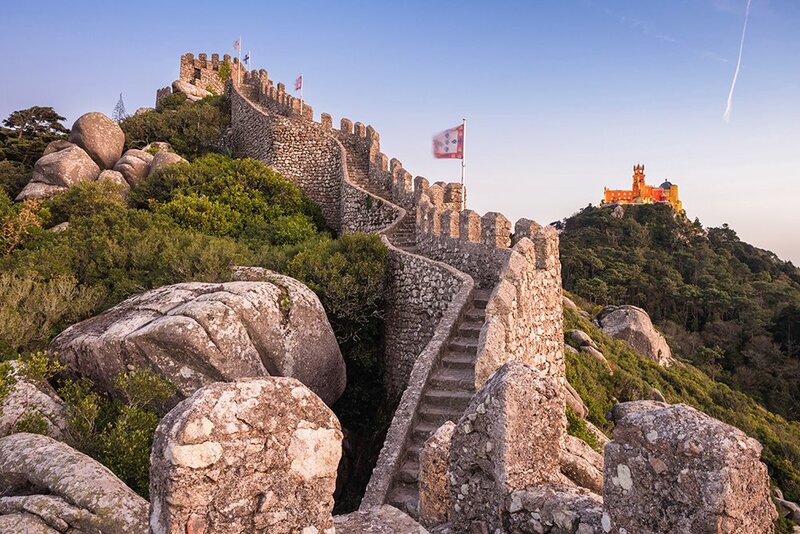 Separated by a gentle quarter of a mile walk, the Castelo dos Mouros to Pena Palace Sintra is one of the most iconic tourist attractions in all of Portugal. A riot of colors, decorative architecture, and whimsical stone carvings usher you into an equally fascinating interior, newly-restored to how it was in 1910 when the monarchy fled Portugal due to the revolution. Choose from two admittance; the cheaper “Parque” ticket (€7.50 adult) allows exploration of the colorful terraces that surround the palace and the serene grounds and trails, and the “Palacio + Parque” ticket (€11.50 adult) allows entry to the staterooms in addition to the grounds and terraces. End your day at Cruz Alta located at the highest point of Serra de Sintra. The walk takes approximately 30 minutes, is well signed, and the perfect place for sunset viewing where you can get a stunning panoramic view of Sintra and beyond. 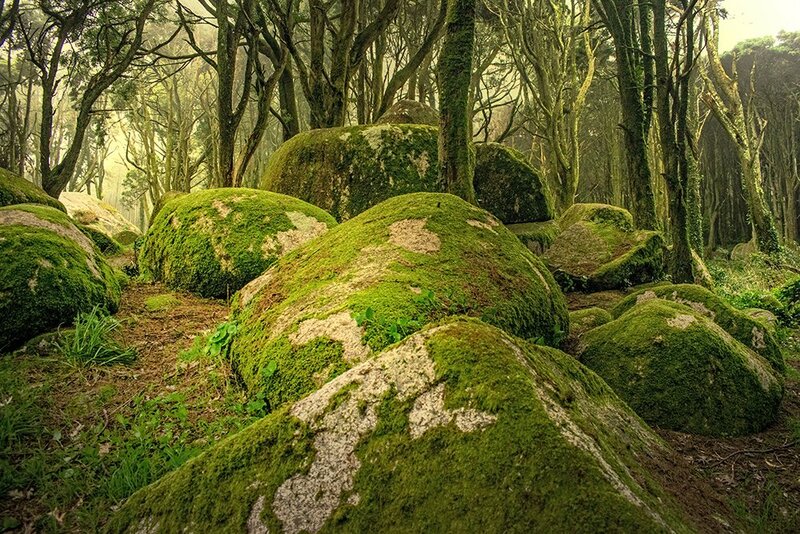 The Pena Park contains over 500 acres of forested walkways and hidden paths, and over 2,000 varieties of plant life that encircle the Pena Palace. One of Europe’s greatest examples of the colorful Romanticism style of architecture, Sintra’s elaborate 19th century charm stands out with cobbled-toned streets, traditional old-world houses, cozy shops, and bustling cafes, all centered around the Gothic-styled National Palace. The main advantage of staying the night in Sintra is that once all of the day trippers hop on their coach tours and leave for the evening, you and the kids have the place to yourselves to explore at a leisurely pace. Right in the center of this UNESCO town, Sintra Boutique Hotel’s rooms and suites have fun views of the historic quarter and Sintra-Cascais Natural Park, and a landscaped garden where guests can sit back and relax. 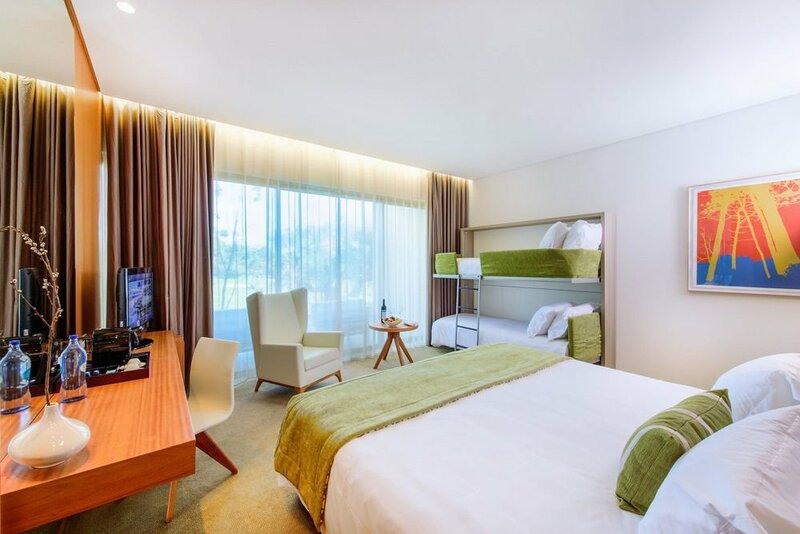 Rooms are fitted with a flat-screen TV, private bathroom, toiletries and a hairdryer. There is also a shared kitchen on site and bike rental services. Cascais has soared from sleepy fishing village to beloved summertime playground ever since the royals began frolicking in its waves in 1870. It’s easy to imagine Cascais as a seaside painting with its fisherman skiffs dotting a harbor, whitewashed lighthouse, and rustic houses. Strolling the streets of Cascais, you are immediately immersed in a certain old world charm that is hard to find these days. 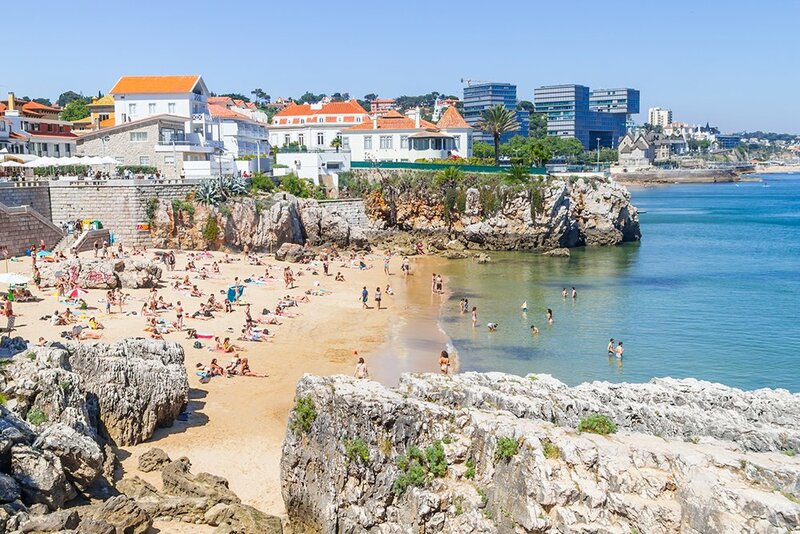 The slow pace of life and the year-round perfect weather in Cascais attracts sun-worshiping tourists looking for a splash in the ice-cold Atlantic. And when you’re done with this sand, there’s plenty to discover along its winding lanes, from quaint museums and lush gardens, to a bustling marina and an old town square dotted with boutiques and alfresco dining. The sign at the door says, “Good Vibes Only” and that is exactly what you get; great food and good vibes! The lovely roof terrace with comfortable cushions is situated on the top of the beautiful building, perfect for a leisurely brunch with a fabulous bay view. 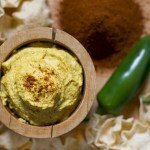 Their mezze-based menu offers delicious quiches, plus juices, smoothies, and pastries that change according to the season and the day. Run by Maria de Lourdes Tirano and her sons for over 30 years, Restaurante Mar do Inferno is a family affair, providing a welcoming atmosphere overflowing with local charm and hospitality. Perched on the coastline, this cozy restaurant offers up some of the most incredibly delectable, fresh seafood and meat you’ve ever had. With main dishes like prawn curry, grilled sea bass, and peppered sirloin steak, there’s something for everyone. And make sure to order something from their wine list, which features internationally-awarded Portuguese wines. Praia da Duquesa (Duquesa Beach) gets its name from the Palace of the Dukes of Palmela (Palacio do Duque de Palmela) which overlooks it. Along with adjoining Praia de Conceição, this is the most easily accessible beach from Cascais town and the train station. Its glorious golden sand and calm and clean waters make it one of the most family-friendly beaches in the area. 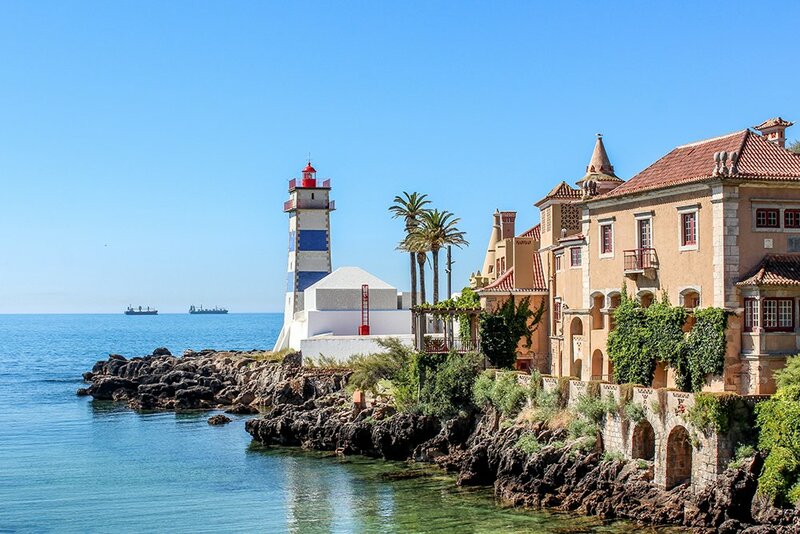 Walk along the boardwalk that connects Cascais to the nearby Estoril township and check out the beautiful views and local vibe. Tucked away in a neighborhood park, the stunningly-adorned carousel in Jardim Visconde da Luz, Cascais is great fun for the kids and at only 3 euros for two go-rounds, they can ride to their heart’s content. A ten-minute drive from Cascais sits the Martinhal Resort, offering families 68 hotel rooms and 4 hotel suites, all beautifully adapted for families. 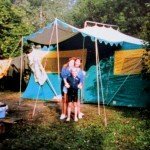 This property is a family-minded oasis where kids are encouraged to explore and be themselves, comfortably and safely. Leave all the travel gear at home because here you have access to amenities like bottle sterilizers and warmers, kid-sized potties, door protectors, safety gates, baby baths, and cots at no extra cost. No, it’s not a dream, it’s Martinhal. Sagres is home to the most impressive landscape in the Algarve. Located at “The End Of The World”, its sea-carved cliffs, dominating fortress, and looming lighthouse paint a dramatic scene high above the frothy ocean waves. This region’s number one appeal is its sense of remote solitude, hidden away from overrun tourist areas and access to some of the finest beaches in the world. Visitors enjoy a relaxed vibe and quiet, local cafes and bars. Sagres is a truly tranquil town with warm and inviting people and stunning views. The best omelette in Sagres is made with flair at Mar à Vista. With plenty of outside seating, this seaside local cafe is a must-visit. This popular surfer restaurant puts your toes right in the sand, while chowing on excellent fresh seafood or the owner’s famous fish stew, all with an unbeatable sea view. Overlooking the marina and sea, this converted fish warehouse specializes in, wait for it, seafood. The view from the terrace is unrivaled and the aromatic interior is filled with hanging strands of dried garlic and chilies. Arrive at 7pm, pick out the freshest fish they have, and let them do the rest. You won’t be disappointed. Located just to the west of the town of Lagos, 30 minutes from the village of Sagres, is a famously stunning section of coastline known as Ponta de Piedade, loaded with a labrynth of natural wonders to explore. 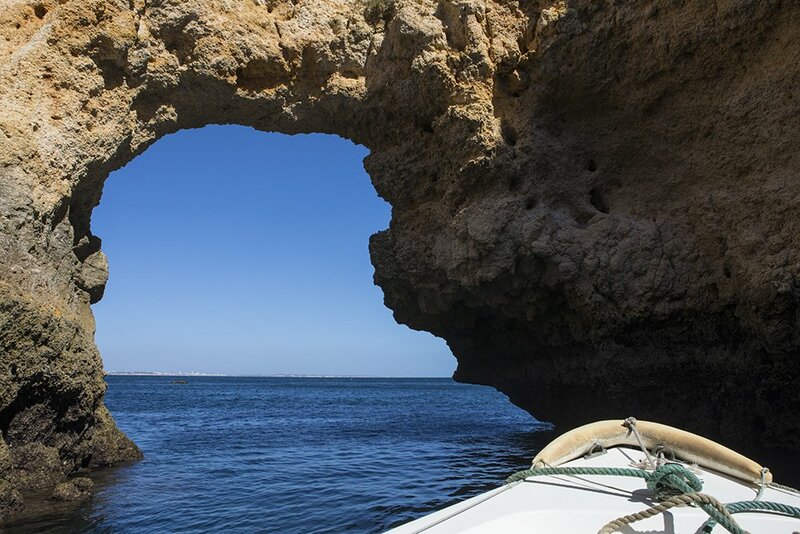 The best way to see its caves, grottoes, and sea arches up close, is from the sea. There are numerous boat trips available that can usher you through the wonderfully clear waters, around rock pillars, and through its natural tunnels. Up until the 14th century, Cabo de São Vicente (the Cape of Saint Vincent) was known as the end of the world. Standing on the most southwesterly tip of Europe, the jagged cliffs rise almost 200 feet up from the ravenous seas, guarded by one of Europe’s brightest lighthouses. 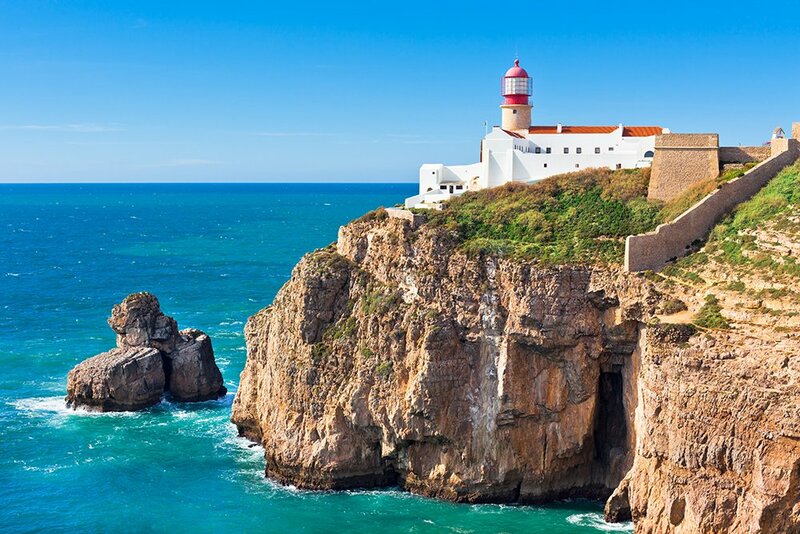 Dating back to 1846, the Cabo de São Vicente lighthouse was constructed on the old ruins of a Franciscan monastery and a hike around this monument should definitely be on your list. Paddling along the striking cliffs of Sagres allows for a more intimate discovery its coastline from Praia da Mareta (Mareta Beach) to Praia do Martinhal (Martinhal Beach). Kayaking is one of the best ways to discover the impressive geography, dark caves and hidden beaches without the loud motor of a vehicle to drown out the sounds of mother nature. Surrounded by the Costa Vicentina Nature Reserve and nestled on the warm sands of Praia do Martinhal, Martinhal Beach Resort & Hotel in Sagres is Portuguese paradise for both parents and kids alike. 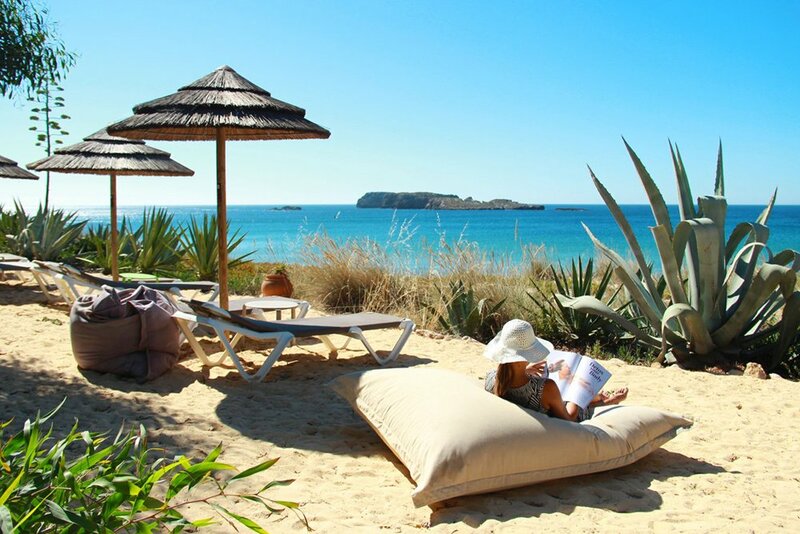 Providing families unprecedented access to some of the Western Algarve’s most unspoiled natural playgrounds, this seaside sanctuary offers guests biking, hiking, surfing, yoga, decadent spa services, and more is the ideal alternative to a boring hotel. 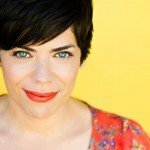 Headed to Porto, Portugal with Kids? 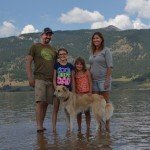 We’ve got a family travel guide for that, too! Note: Martinhal Family Resorts provided complimentary airfare, accommodations, activities, and dining for the purposes of this article. 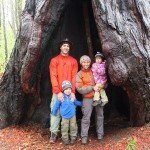 Jennifer Fontaine is the founder of Outdoor Families Magazine, publisher of MommyHiker.com, a blog to encourage outdoor activities with children, and an activist filmmaker inspiring dynamic change in the world. She lives in Southern California with her family.